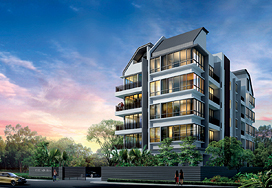 Straits Mansions - a rare 25-unit freehold site in the delightful district of Katong; a thoughtful balance of innovation, modern comforts, and old world Peranakan charm. By melding Peranakan sensitivity into its design, Straits Mansions pays homage to the unyielding legacy of the Peranakan prestige still evident today in the streets of Katong. 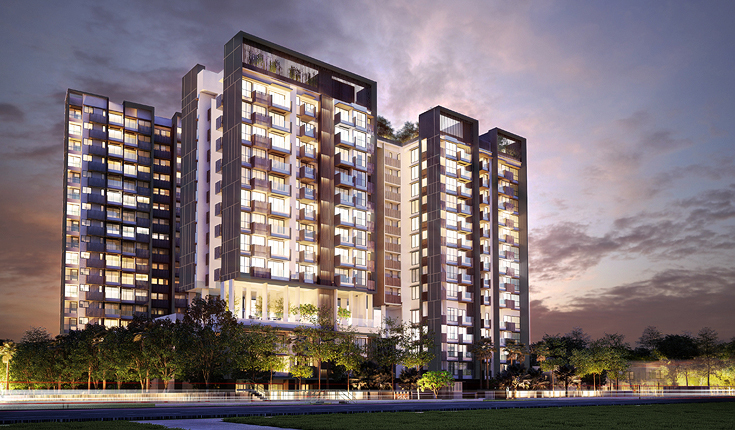 Located amidst a rich plethora of heritage shops, shopping malls, esteemed educational institutions and recreation parks, Straits Mansions allows you to live a life of unparalleled convenience. 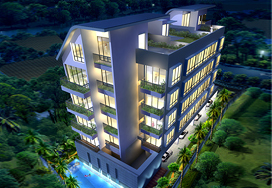 This exclusive residence is the stepping stone to lay down the roots for your future. This is where you will build your family legacy. Countdown to generations of love and togetherness, built upon a strong foundation of care and communication. 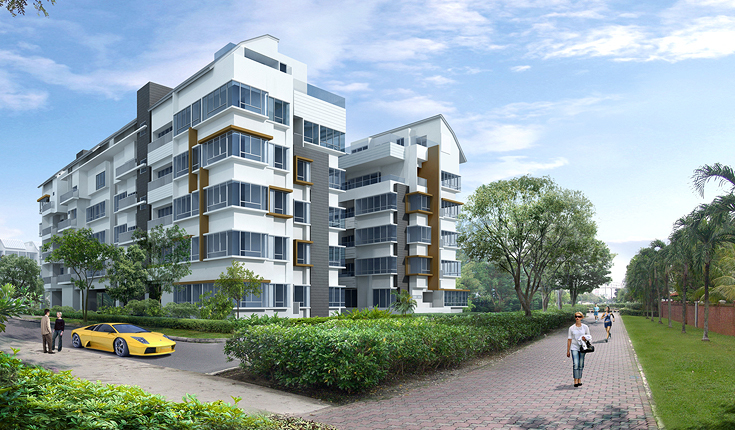 Trilive comprises 3 blocks of 13/14/18-storey designed to bring quality of life for every member of the multi-generation household. 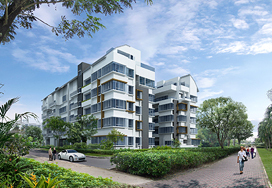 Totaling 222 units, the freehold development consist of a wide array of 1 + Study and 2 bedrooms, as well as 2, 3 and 4 bedrooms dual-key units prefect for 3G families. Towering over low-rise landed properties in the surrounding, most of the high-floor units are granted unblocked views of the magnificent skyline. 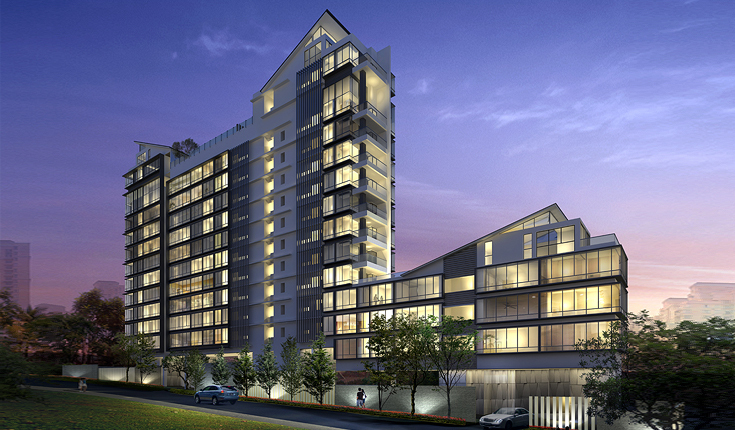 Sunnyvale Residences - a 30-units freehold residential development nestled in a low rise private estate in District 15. 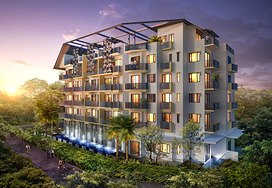 The beautiful facade rises from lush surroundings, seamlessly blending into its tropical environment, catering to discerning individuals who value privileged living, among tranquil landscapes. 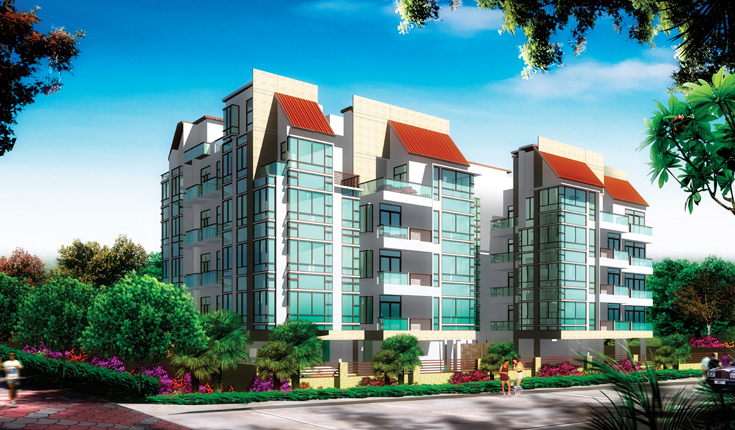 With Sunnyvale Residences freehold status, its close proximity to amenities, peaceful parks and waterways, these highly sought after units are an investment for generations to enjoy. If you want it, it's yours. That's the essence of Liv on Wilkie in a nutshell. Truly a luxury opened only to the selected individuals who have entered the prime of their life. 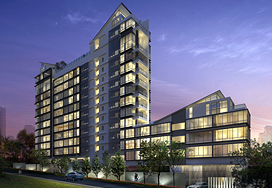 The exclusive 7-storey single block development envelops residents within a melting pot of modern comforts. 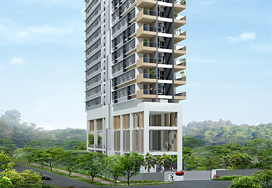 Comprising 81 plush apartments with a wide selection of types and layouts, Liv on Wilkie stands proudly as an insignia of one who has entered the prime of his life. If Success Hasn't Pampered You, We Will. 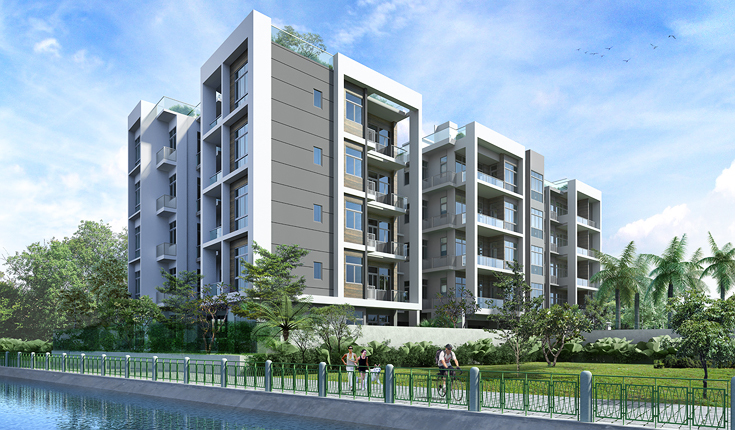 Whitehaven presents an uninterrupted retreat from city bustle without neglecting urban convenience. 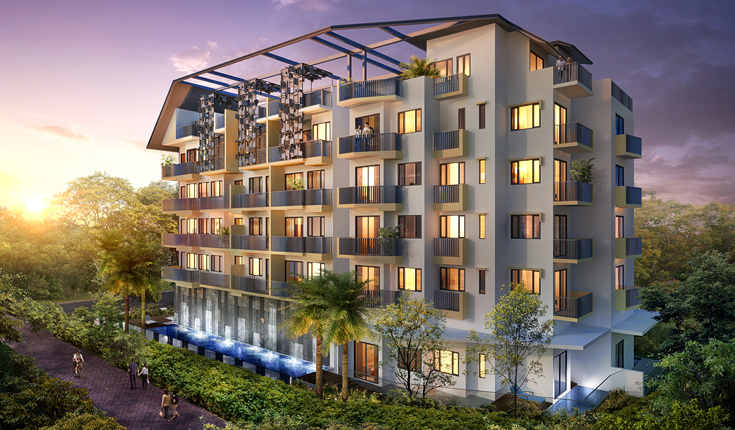 Covering a prominent land area with generous landscaping, the freehold development comprises four 5-storey blocks gracefully rooted in a warm resort ambience. Enshrouded within verdant landscape are 171 residential units distributed across four 5-storey blocks. 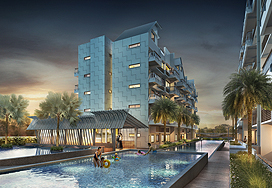 An abode designed to evoke memories of a sunny resort vacation, Jade Residences will fulfill your desire for rest and relaxation. See the sparkle in your eyes, golden glow on your skin. 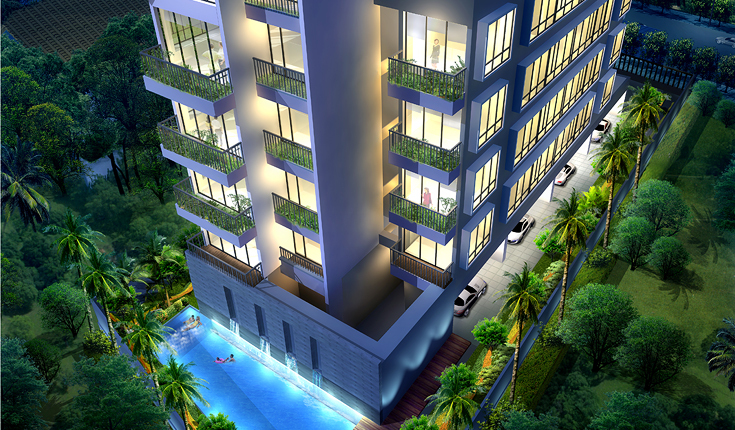 Feel the serenity of Jade Residences bring forth a crystal-clear mind and dazzling smile. Set against Balinese resort landscape are picturesque waterscapes, exotic greenery and pampering wellness amenities. Enjoy the holiday of a lifetime, for an infinity. A delectable cocktail of resort ambience and urban convenience, topped with a dash of recreation panache. 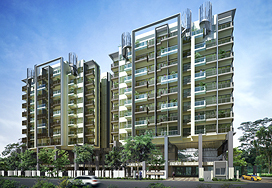 This is Jade Residences - an evergreen gem at the city-fringe. 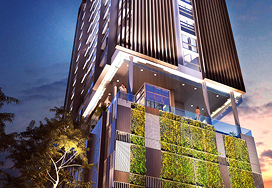 Live at the heart of cosmopolitan capital, surrounded by high fashion of Orchard, the artisan charm of Bugis and futuristic vibe of the Central Business District. In prestigious District 9, your home is a testimonial of success; your address is worth a lifetime of respect. 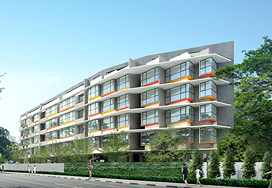 The exclusive 6-storey single block development envelops residents within a refreshing wellness-centered ambience. 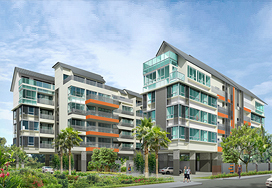 Comprising 64 plush 2-bedroom dual-key units, Liv on Sophia is the ideal work-life arrangement for the discerning few. 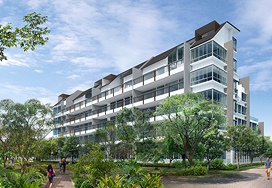 Nestled in the lush tropical landscape of Singapore's verdant east, TREESCAPE is a brand new development for discerning individuals who appreciate the coziness that nature's bosom brings. Being close to the spoils of tropicana will leave you refreshed and rejuvenated every single day. With beaches and parks within close proximity of TREESCAPE, you will be enthralled by peaceful surroundings and fresh air everytime you come home. 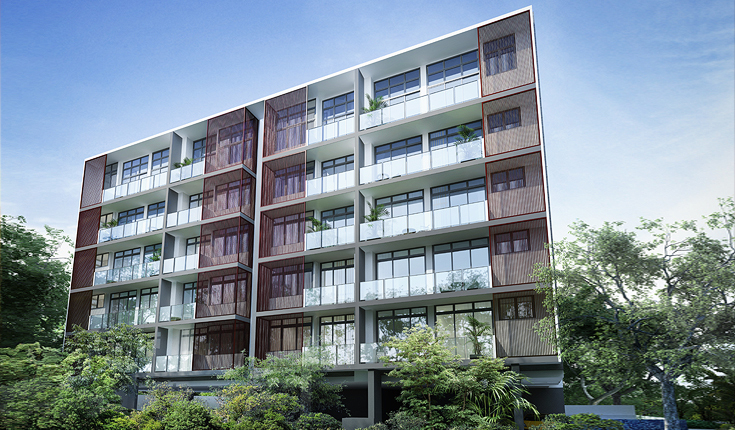 TREESCAPE's modern façade is a beautiful sight with clean lines and contemporary design combining to create the most seamless synergy between nature and urban living. At TREESCAPE you can sit back, relax and live your life in harmony with the world. Feel the jovial exuberance of the city, where arts, culture and entertainment blend into an ample playground for the lucky few who get to live and breathe it 24/7. Flanked by the charming historical districts of Bugis and Little India, while close to the latest and brightest of Orchard Road, this is where you want to be for a lifetime. 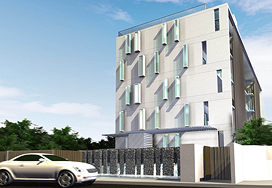 Housed within 3 delighfully centemporary 10-storey block are 193 beautiful units. Set against a backdrop of timber-lined pavilions and lush landscape coupled with 3 levels of activities, you can truly refresh, recharge and rejuvenate your body, mind and soul. At the summit of pleasure, urban essentials are thoughtfully paired with holistic indulgences. 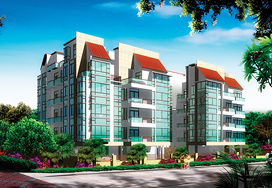 With an emphasis on living well, NATURA@HILLVIEW combines the excitement of a theme park with the relaxation of a resort. Right at home, recreation, wellness, fitness and entertainment facilities come in abundance amidst the grandeur of nature. Make resort retreat more than just a short vacation. Come home to your private resort residence everyday. 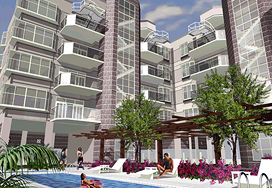 Let bliss wash over you at an urban address that incorporates island living. Enjoy views that out your mind at ease. Experience luxury of a lifetime. 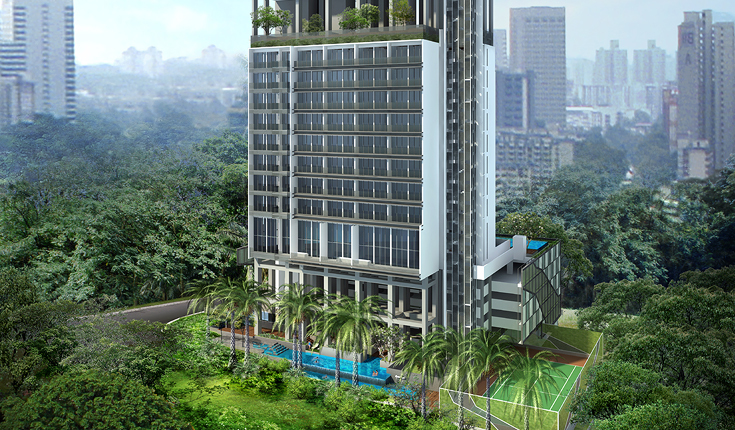 Like a jewel washed ashore, Spottiswoode 18 - a 36-storey luxury freehold development - stands tall and resplendent at the edge of the city and the southern shores of the island. An architectural landmark in the making, it articulates the stylish and cosmopolitan lifestyle of the modern urban dweller. A space to Indulge. Impress. Invigorate. 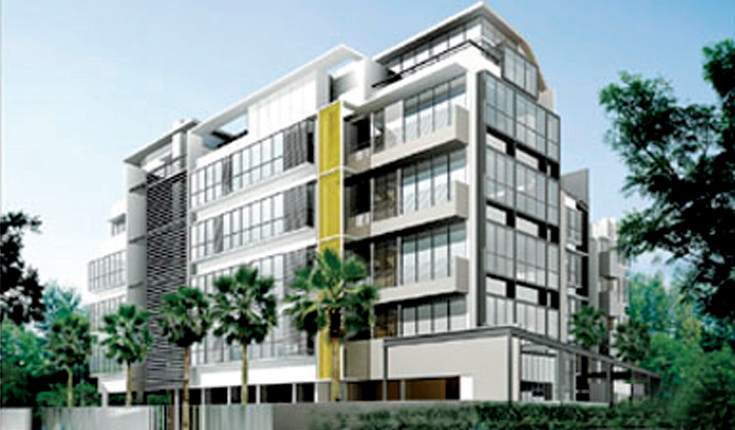 Space@Kovan has 140 apartments and 56 commercial units located within a building that boasts of contemporary and cutting-edge architecture. 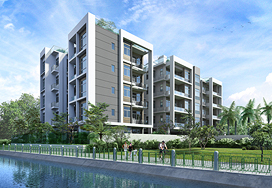 Enjoy a unique lifestyle that boasts convenience, style and sophistication within a complex that will delight and surprise you with its modem yet elegant nature. 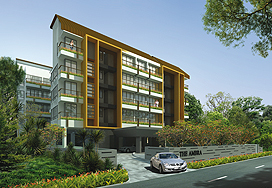 Space@Kovan is truly for the discerning individual who values the best life has to offer. 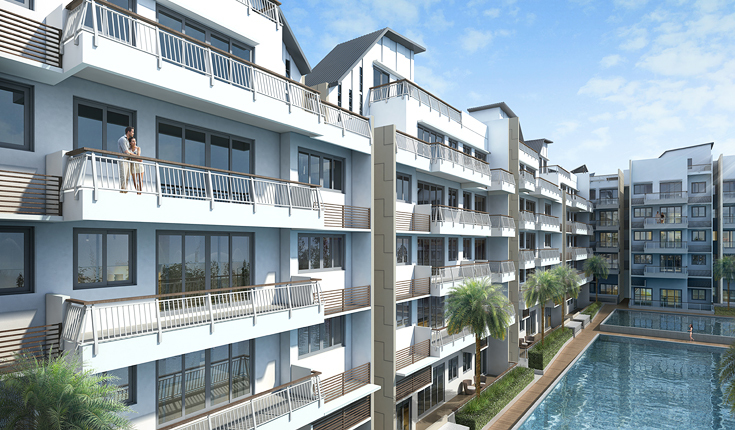 A haven away from the bustling city, 53 exclusive apartments and penthouses, built to offer you the ultimate luxury and comfort throughout your beautiful home. Exquisite designs with stylish finishes, a perfect combination of simplicity and sophistication. A living concept reflecting a lifestyle with a truly unique difference, where 25 exclusive freehold units design to balance modernity and luxury, delivering a home that you can truly enjoy. 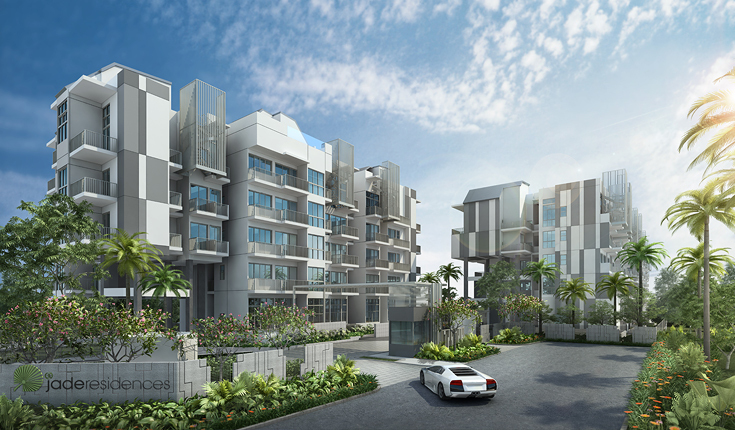 At Straits Residences, where modernity and serenity are in perfect harmony. 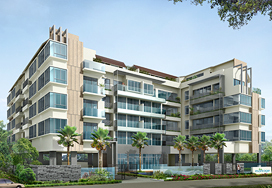 Comprising 30 exclusive apartments for the discerning few, every moment is a delightful experience to be savoured. 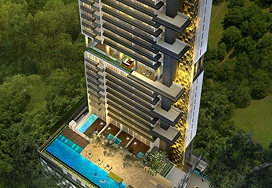 At Straits Residences, everything is mere minutes away from home. 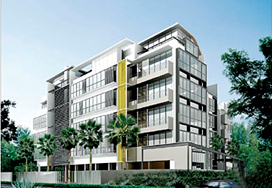 A vibrant area bustling with cafes, chic dining restaurants and shops, enjoy a wide array of conveniences and leisure. 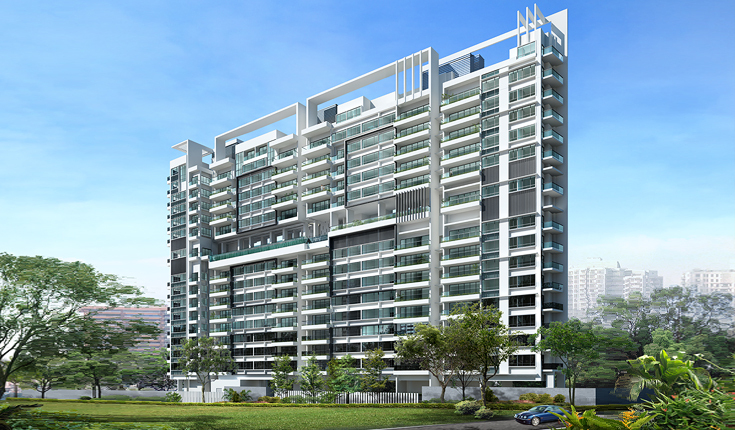 Relish the ease of getting to the city for commercial and entertainment attractions with Eunos MRT station minutes away and easy drives via PIE and ECP. Elite schools are a stone's throw away for your little ones. Enjoy all that life has to offer right at your doorstep. Iconic shopping, exquisite dining and world-class entertainment are just minutes away. 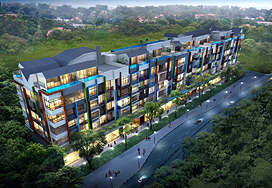 Shop at malls like Parkway Parade which offer the widest range of shopping on Singapore's East Coast. Savour local favourites at well-known eateries in the Katong area and delight in the ambience of a town that is steeped in history. 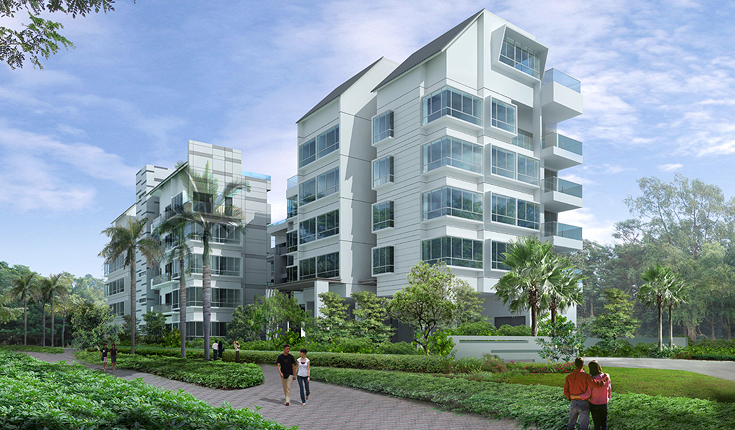 Zip into the city via major expressways or Circle Line and soak in the excitement of contemporary living. The pleasure of living beckons at HAIG162. NOVA 88 stands apart. 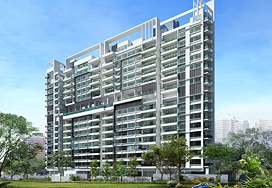 Rising distinctly above Singapore's attractive Novena North district, NOVA 88 sets a new standard in living and choice with an unsurpassed array of options to match your specific needs. 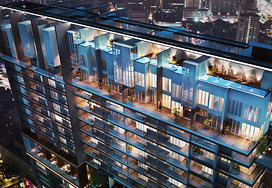 Situated on the quiet side street of Bhamo Road, yet conveniently close to the City and Orchard shopping district, NOVA 88 presents you with a full scope of contemporary living spaces complete with innovative features including a unique outdoor Heated Swimming Pool. 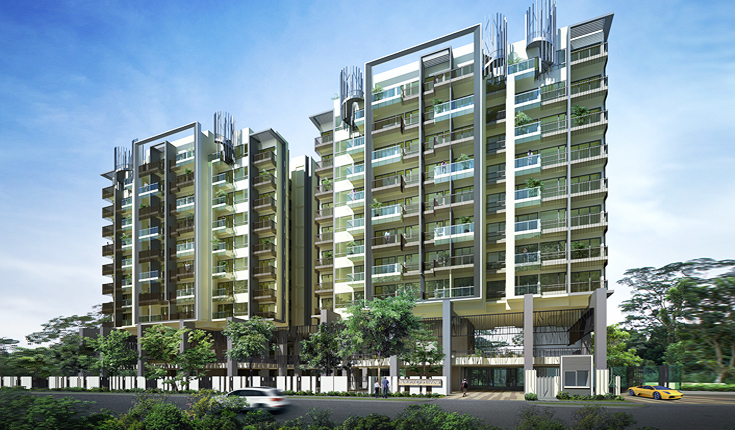 NOVA 48 at Prome Road, Novena North offers 48 exquisite units to meet the needs of a range of modern lifestyles. Boasting an exceptional contemporary architectural concept that maximises natural light throughout its 12 storeys, every room in each unit provides an ideal, refreshing and welcoming living environment. How would you like a spa massage on your very own balcony? The moment you step home, be waited upon by your private whirlpool, located conveniently on your balcony. It sits five comfortably, which makes it quite a rare find. Gather the family around for a jocund evening chat as you ease your tension away in the therapeutic pulse of the water. Banter, splash some water, laugh. But if a solitary meditation is all you desire, the sizeable whirlpool tub simply means wonderfully more room to sit back and stretch out in the tranquility. Just add a few drops of invigorating essential oils to complete the bliss. Even after the city shuts its doors, there's still a place open for a few drinks and a few languid minds. A truly spacious one, it's designed to accommodate more of your friends. Dine and wine al-fresco in the airy area. Laze in the soft breezes. Plunge into a chic night of cool (thanks to the 5-seater whirlpool). Or exchange thoughts casually. Your guests will enjoy unrivalled privacy, while you will feel completely at home. Even beyond the boundaries of your private abode, the feeling of being spoilt continues. On the ground floor, a seamless flow of a lap pool, wading pool and water jet corner dazzles at your feet, brimming with elegance. There, just a few steps away, a children playground and an air-conditioned gym invite your family to more healthful retreats. This is the communal recreational area, lined neatly between the two apartment blocks. A thoughtful orientation, really, as it allows maximum pool view and opens up a passage of breeze. Creating a pleasant, conducive environment for you to unwind and be pampered. 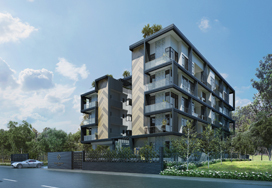 Experience an exclusive boutique development conceptualised to meet the highest standards of today's broad lifestyle spectrum. A modern approach to timeless elegance, The Florentine stands as an exceptional example of contemporary living at its best. 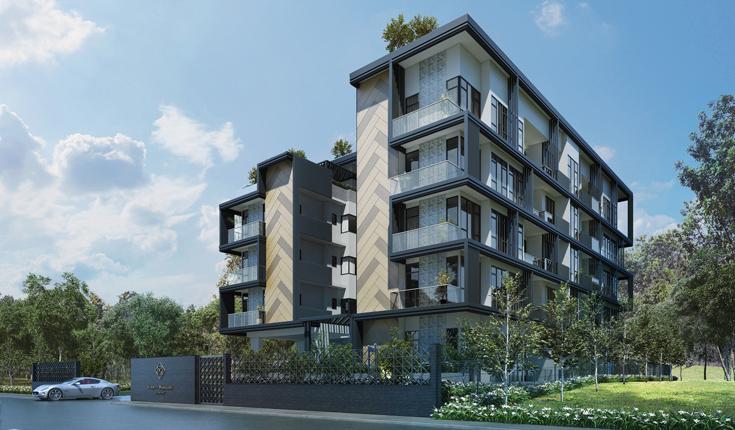 Whether you're looking for the ideal family home or the perfect private space, The Florentine meets your requirement, catering to your individual needs with exceptional facilities to suit your specific lifestyle. The Florentine's location is an integral part of its appeal: perfectly placed within Singapore's ever-evolving Northeast. As a locale boasting all the modern amenities, conveniences and shopping experiences you require, the Northeast also offers its own unique character to set it apart - a locale that is both a peaceful haven and vibrant community. 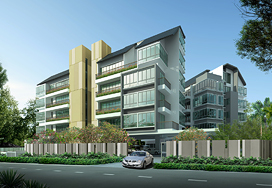 While neatly nestled away, The Florentine is within easy reach of the rest of Singapore thanks to its convenient highway access, plus its proximity to the MRT and other public transport options. And international destinations are brought closer with Changi Airport only minutes away. 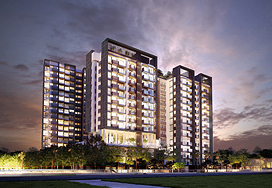 The Florentine has been created as a homespace to suit your needs - fully conceptualised and realised to fulfill the unique demands of a range of contemporary lifestyles. The holistic approach to the architecture, interiors, location and facilities ensures that each individual element combines towards the creation of an environment that encapsulates all you require, providing an overall living experience that matches your lifestyles preferences and needs. The Azzuro is your luxury dream home away from home. With the East Coast Park just a tossed pebble away and legendary local eateries right at your doorstep, you'll never want to leave your personal retreat; but off change you do, the city is but mere minutes away via the ECP and PIE. Close your eyes and imagine a moment of absolute bliss. Soak in the overflowing abundance of life. Where a lush garden of trees shade the afternoon sun, as you luxuriate by the pool and sip a cocktail. And a host of well-integrated facilities serve to nurture your mind, body and soul, at your private leisure. Escape from reality. Your very own paradise awaits. Open the doors to the exceptional life. Where absolute spaciousness and luxury greet you. A cosy and harmonious ambience fills every living space. From the wet and dry kitchen to the living, dining, study and bedrooms - inviting rays of sunlight glisten through full-glassed windows, uplifting spirits and illuminating hearts. Spreading a sense of joy and warmth within the lavish comforts of home, as your family gathers to spend quality time together. This is the kind of life, as it should be. 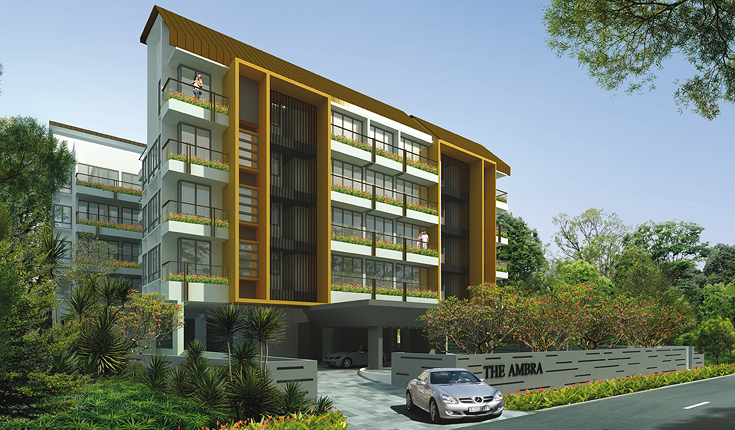 Welcome to THE AMBRA, your brand new home in the east. THE AMBRA lies at the crossroads of eastern charm and western comforts, mere minutes from every modern amenity you could think of, but tucked away far enough so your privacy is never compromised. Nothing says more about who you are, than what you love. Fall in love with the little things in life at THE AMBRA and experience the vitality and splendour of this neighbourhood, where modern impulse embraces a longstanding tradition of food, music and art. 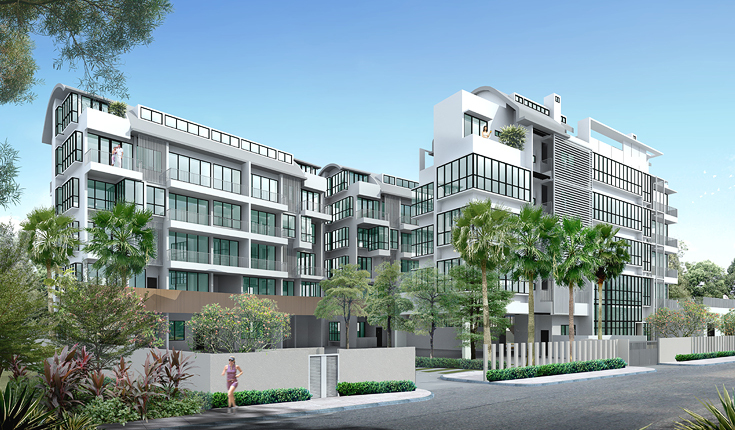 What's more, with its close proximity to reputable schools like Tao Nan, CHIJ Katong and Victoria JC, you can be rest assured that owning a piece of THE AMBRA is a lifetime investment. Enjoy a revitalising breakfast by the pool or lounge in the soft shades of the afternoon sun after a body-sculpting session at the gym. Whatever your pleasure, whatever your whim, THE AMBRA has it all. 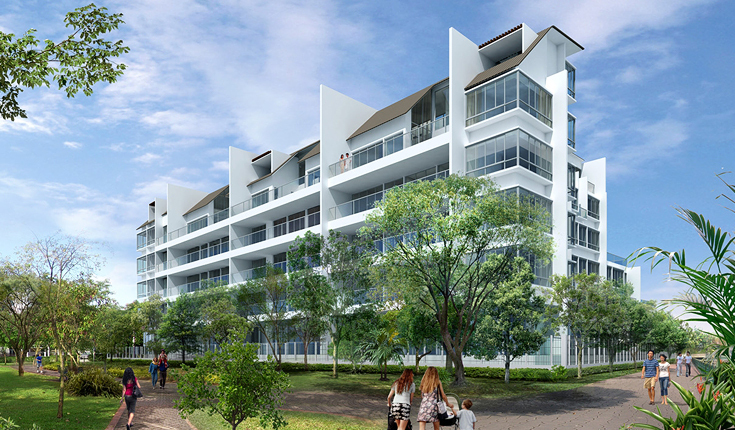 A graceful and studied exercise in modern architecture, the elegant exterior and airy open spaces throughout are designed for your comfort and intimacy, while the proximity to Telok Kurau Park and East Coast Park complete your transition to this oceanfront lifestyle. Sophistication knows no bounds at THE AMBRA. 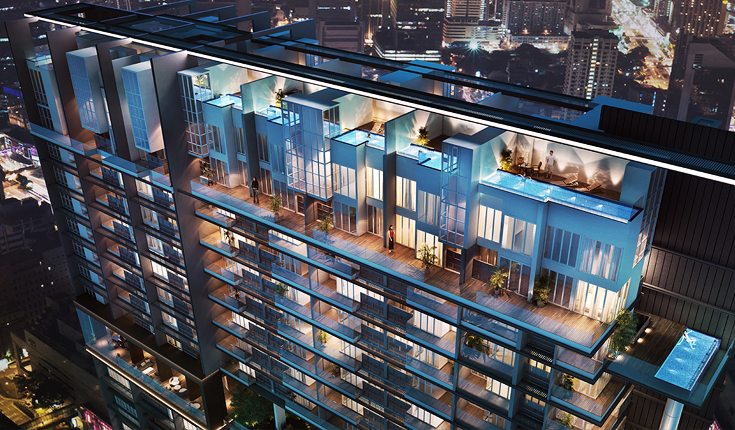 Make your selection from just 25 homes, including 6 uniquely-designed penthouse units each with its own Jacuzzi. With kitchens to inspire the most serious cook, bathrooms fitted with finest finishes and warm, inviting textures throughout, returning home to THE AMBRA is a celebration unto itself. After a day in South East Asia's most dynamic city, you'll want your home to be an escape to quiet relaxation and undisturbed privacy. Realise your vision with a limited edition residence at THE VERTE, where Zen-like luxury and uncomplicated design offers a calming respite from the world. 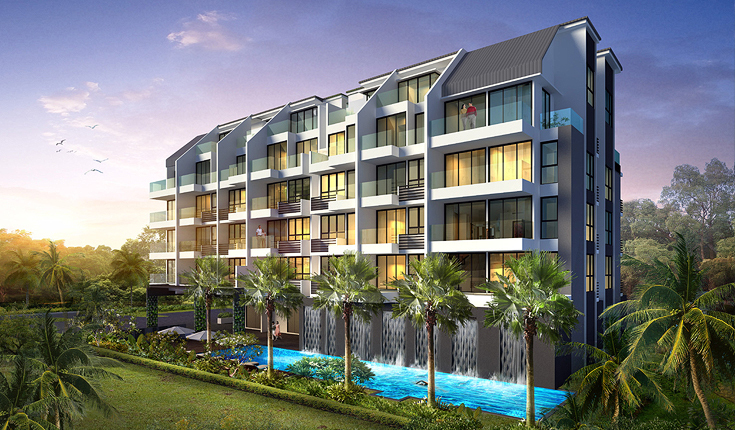 Await an uncommon resort living experience set against the lush greens of Telok Kurau Park and the vibrant pulse of Katong. 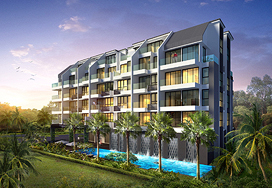 Located mere minutes from East Coast Road and just 400 meteres from Kembangan MRT Station, THE VERTE guarantees unparalleled access to premiere restaurants, luxury shopping, reputable school and the waterfront. Come home, sit back, relax, and enjoy the tree-lined approach to grand living. A new gold standard of fitness and social amenities, THE VERTE comes complete with a luxuriously long 25 meter lap pool and a state-of-the-art fitness centre so you can blow off steam and stay in shape. 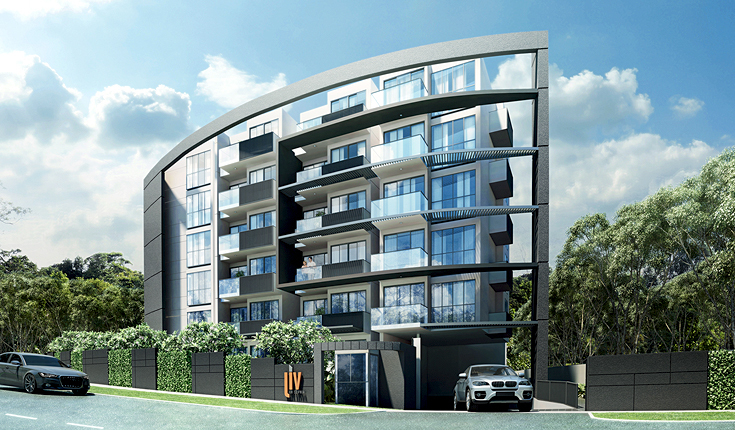 Distinctive design meets luxurious retreat at THE VERTE. 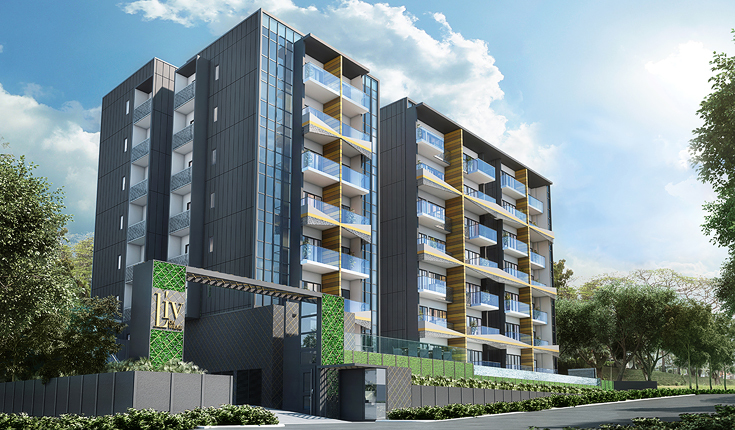 Stunning penthouse units and gracefully designed three- and four-bedroom apartments are precisely calibrated to take advantage of everything modern city life offers. Who says owning an apartment in town is the only way to live it up? 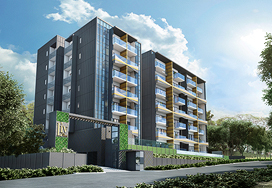 Welcome to THE ADARA, where stylish city living has a new postal code in the east. 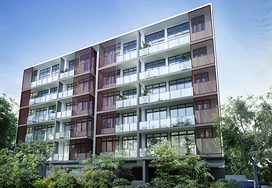 Situated in the heart of bustling Katong, THE ADARA provides the best of both worlds: the convenience and excitement of urban living and the nostalgic charm of a cultural hub. 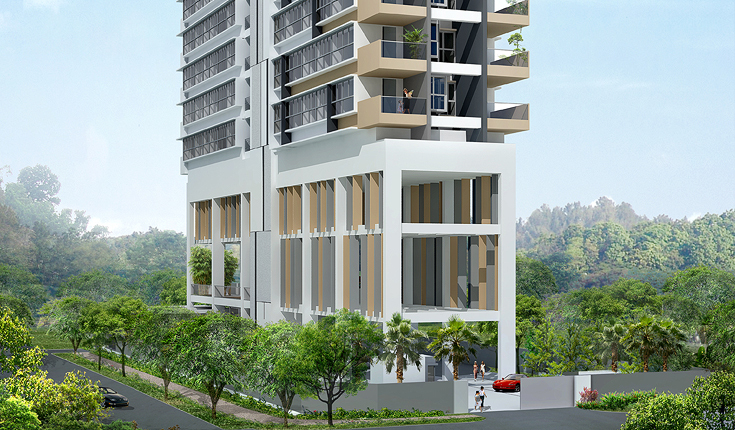 Conveniently located near major expressways like the ECP and the PIE, and mere minutes away from Kembangan and Eunos MRT station, THE ADARA caters to all your cosmopolitan needs with little effort on your part. So sit back, relax and be charmed by this rich cultural melting pot in the East, where traces of its historic past as a prestigious seaside town for Singapore's wealthiest still remain. Today, you'll find everything you need here, from shopping to eating, leisure and entertainment. The little ones most precious to your heart will find days of endless fun at the playground, while your young scholars will discover the world of opportunities that await them at prestigious and conveniently located schools like Tao Nan and Victoria Junior College. 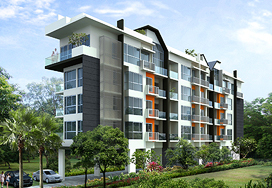 Close to all your lifestyle needs, renowned schools nearby. 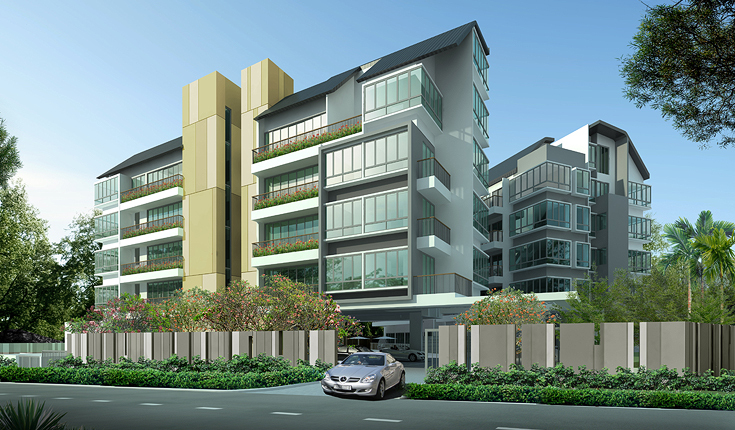 5 minutes to Kembangan MRT station. 30m luxurious lap pool and gym to help you de-stress and recharge your spirit. With cosy interior comforts, airy space and idyllic views of lush greenery, you simply won't feel like heading outdoors. When you're looking for the perfect home, location is always at the top of the list of priorities. 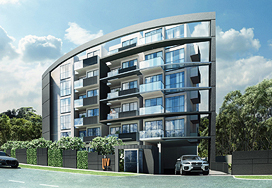 Situated at the heart of the city, a home at The Marque is a home that has it all. The PIE and CTE expressways are just a short drive away, several good schools and shopping centres galore are close by, Novena MRT station is just around the corner, and a vast variety of eateries are practically on your doorstep. At The Marque, you couldn't possibly ask or wish for more. Ever wondered what it would be like if you and your family could live in a 5-star hotel? Well, it'll certainly feel like you're living in one at The Marque. Here you can start your day with a clear mind and practice your relaxation techniques at the tranquil garden terrace's tai chi deck on the second floor. Or perhaps you'd prefer a quick workout in the gym followed by a dip in the pool. And then when the weekend arrives, you can invite your friends over for a BBQ at the garden terrace as the sun sets and let the kids have fun right next to you at the playground. At The Marque, the interiors are just perfect and every details has been taken care of by our team of seasoned interior design experts. Roomy and cool, comfortable and chic, it'll lead to feelings of liberation, well-being and completes satisfaction. But please, be prepared.With a home like this, your friends will be queueing up to see it for themselves. If you're the kind of person who prefers to eat out most of the time, things may soon start to change when you move into your new home at The Marque. With a carefully-planned kitchen area filled with state-of-the-art German appliances, don't be surprised if you suddenly find yourself down at Orchard shopping for recipe books and an apron. At The Marque, the urge to flex your culinary skills will be hard to resist. Who knows, your dishes may even become famous with your family and friends! If you're the kind of person who wants it all and then some, you'll fall head over heels in love with the Axis@Siplap. 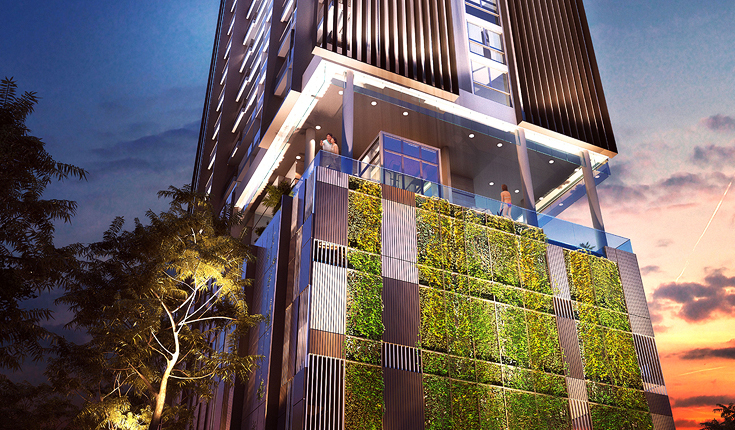 Situated in Singapore's trendy and cosmopolitan Siplap area, this stylish boutique development boasts a world of treats for the modern lifestyle lover. Whether you get your kicks out of shopping, cycling by the beach or by doing what a food-lover does best, here you can have the lot. And as convenience is important to you, the city centre can be reached via the ECP and PIE in a matter of minutes. 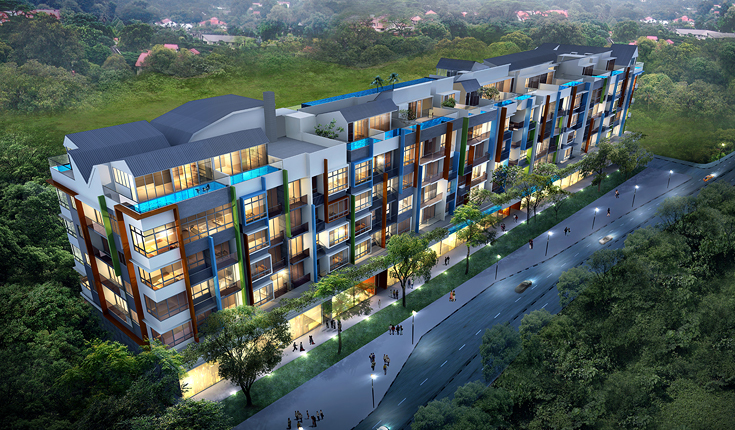 At the Axis@Siglap, the minute you step outside your home you'll be bombarded by choice galore. From all over the island, people flock to this gastronomical paradise in search of the tastiest dishes. From famous char kway teow to legendary Hokkien mee to East-West fusion food, it's all right here on your doorstep. But it doesn't end there. After you've satisfied your food craving, you can chat with your girlfriends at a cafe, raise a toast to your promotion with kakis at one of the many pubs, or celebrate your anniversary with your loved one over a bottle of bubbly at an al-fresco bar. Life at the East doesn't get any better than this! As you know, it's important to achieve the right balance in life. 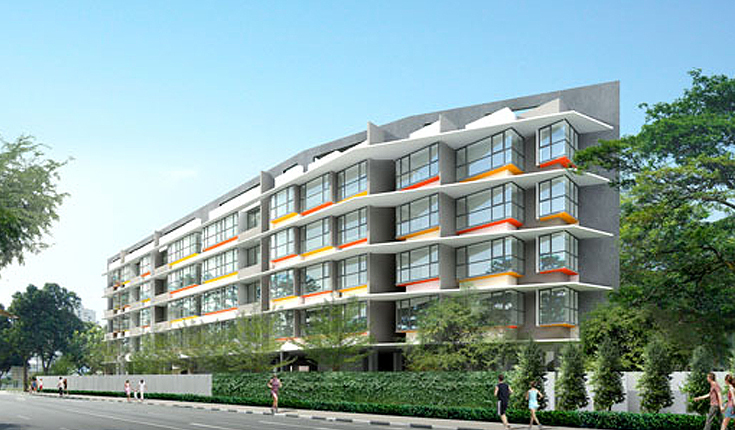 At the Axis@Siglap, we've managed to create a harmonious combination of modern simplicity and natural tranquility. As palms gently sway from side to side in the pleasant East Coast breeze, you can perfectly lie back and enjoy a good book with a glass of wine or refresh your mind and body in the pool. And at the end of the day, you may wish to invite your friends and family over for a BBQ under the setting sun. It's a perfect example of what contemporary boutique living should be. 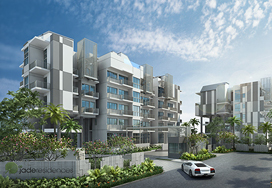 When you're a proud owner of your very own exclusive pad at the Axis@Siglap, you'll know what the peak of sophistication really feels like. With roomy interiors, cool marble flooring, meticulous finishing and the very best fitted home appliances, attention to detail is evident throughout. 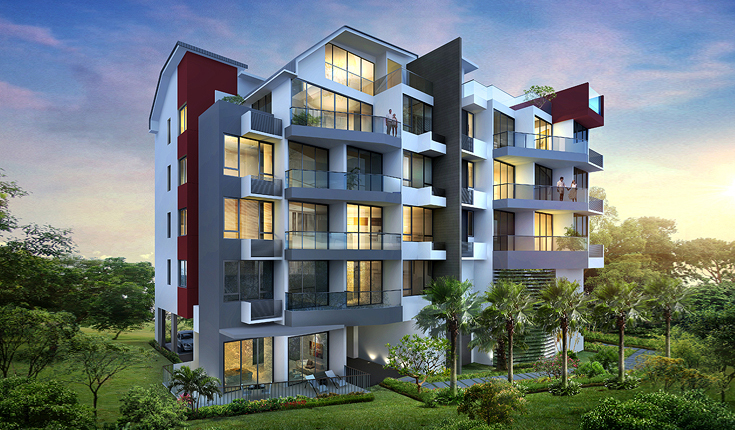 As you stroll from room to room, you'll fall in love with the sheer beauty of simplicity, quality and elegance, A home at the Axis@Siglap is the place you've always dreamed of owning. Nested in a serene enclave of lush greenery, St. Patrick's Loft is a dream retreat for every urbanite. Go on a laid-back family outing at the breezy East Coast Park, eat to your heart's content at Katong and Siglap, or cruise down the Expressway for hours of shopping spree in the city, whichever destination you fancy, you'll be pleased to know that it is mere minutes away from home. To complete your relaxation, luxurious facilities include a Venice-inspired pool and well-equipped gym, inviting you to refresh and rejuvenate. 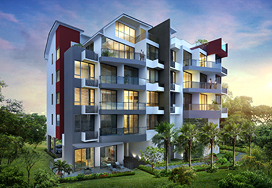 Exquisite duplex units offer ultimate comfort to the whole family. 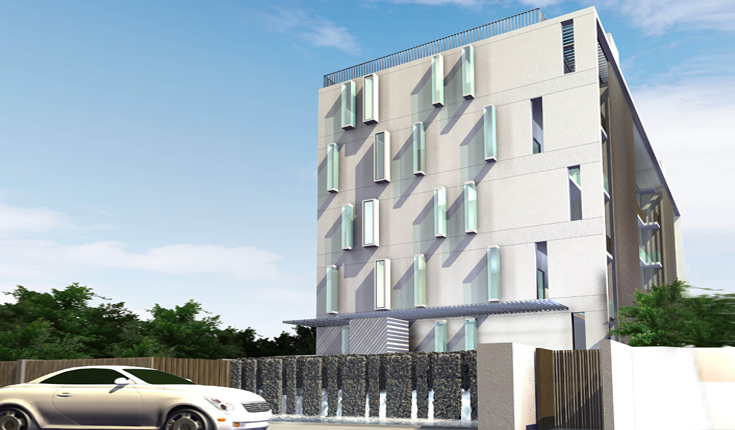 The immaculate 5-storey private apartment offers you a choice of cosy single-storey units for intimate family times or lavish duplexes for an unparalleled sense of space and comfort. 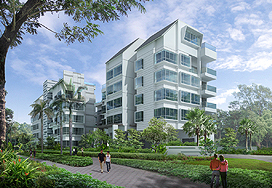 Come home to a healthy dose of fresh greens and water at The Treeline, a cosy haven nestled right in front of tranquil Telok Kurau Park. In the vincinity of sunny beaches, lush landscapes, and great food and entertainment, it is the perfect prescription for a good and health life. 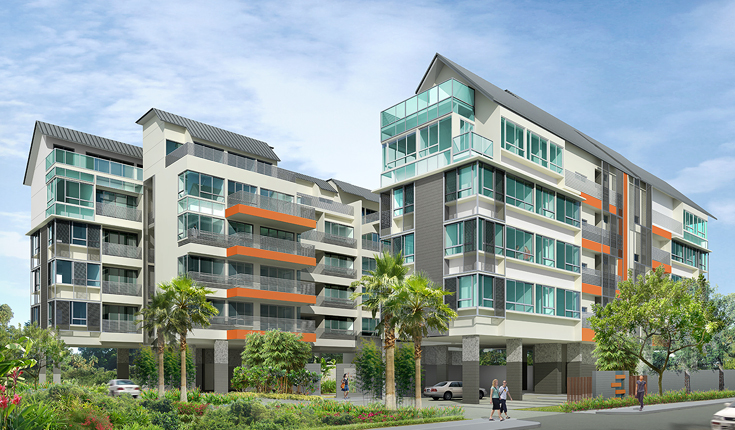 Come and enjoy the peak of modern-day living at the East in a home where you and your family can have it all. Set amidst tropical greenery with a tranquil spa-like ambiance, The Montage offers the ultimate in comfort and convenience. Minutes away from the City, good schools, shops galore and an abundance of eateries, you can now enjoy the very best of what life has to offer in the home of your dreams. 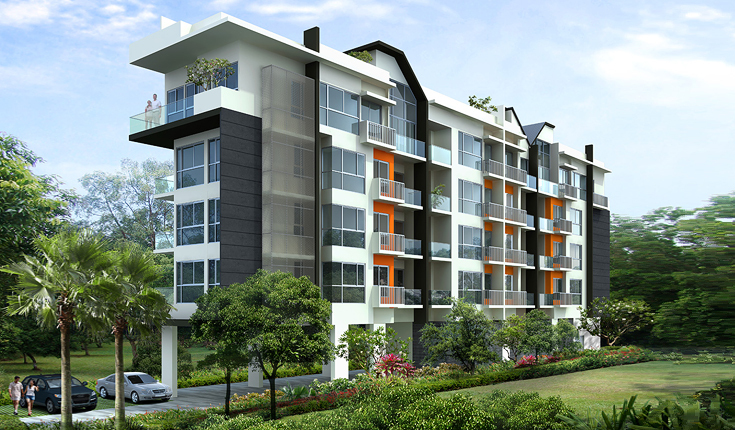 Find yourself living in serene and airy ambience at The Nclave. 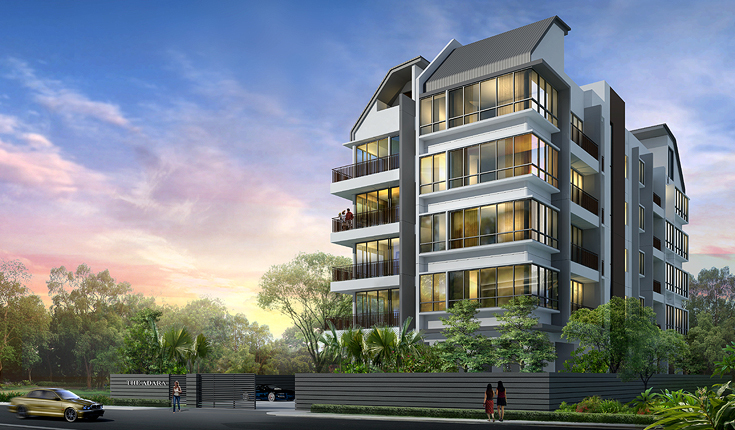 Discover lofty ceilings in the living area with large bay windows opening onto the quaint neighbourhood of Telok Kurau. Yet not far from the hive of activities on East Coast Road. A definitive home for your family to live comfortably inside. And enjoy the alluring charm of the East. Some desire privacy, others own it. 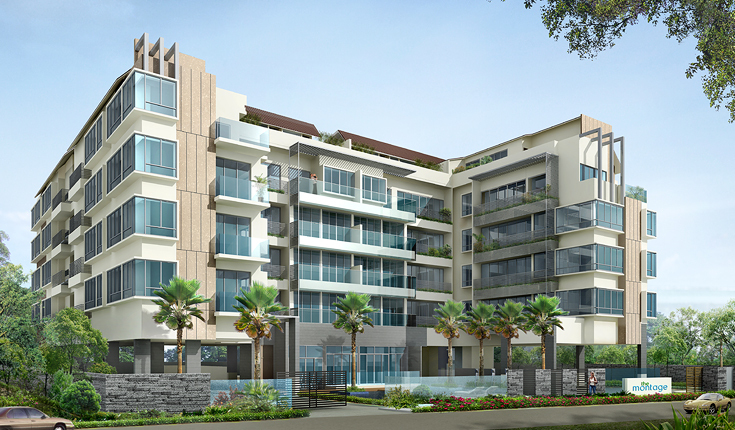 At Martia Residence, a private lift opens onto your own personal balcony, to which only you have access. That means you can enjoy greater security and comfort even before reaching your own home. Escape the city, come home to nature, everyday. Take a break from the noise and stress of the city, leave the traffic and crowds behind, and come discover a haven you can call your very own. Come discover Veranda. 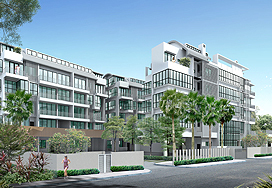 Situated in the Katong area with its rich old world ambience, fabulous eateries, reputable schools and breezy seaside charm, Veranda is only five minutes from the ECP and PIE, yet it is very much in a private and serene world of its own. 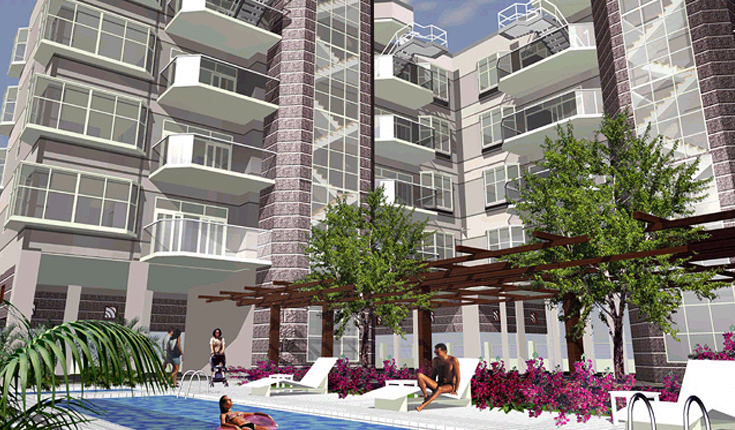 With its rooftop gardens, swimming pool, and balcony in every unit, Veranda apartments offer residents the unique opportunity to commune with nature and to indulge in the relaxed outdoor lifestyle at the same time. At Veranda, where the best of suburban living meets the charms of the East Coast.